Dr. Martin Luther King, Jr., speaking in Kingstree, SC, May 8, 1966. South Carolina Congressman James Clyburn also attended that 1967 Charleston meeting. He shares how this event seemed to have been the start of King’s “message expansion” into healthcare. Congressman James Clyburn talks with South Carolina Public Radio about how Dr. Martin Luther King, Jr. impacted his life. King would visit South Carolina multiple times. Congressman Clyburn also recalls him coming to the state after the voting rights act passed. 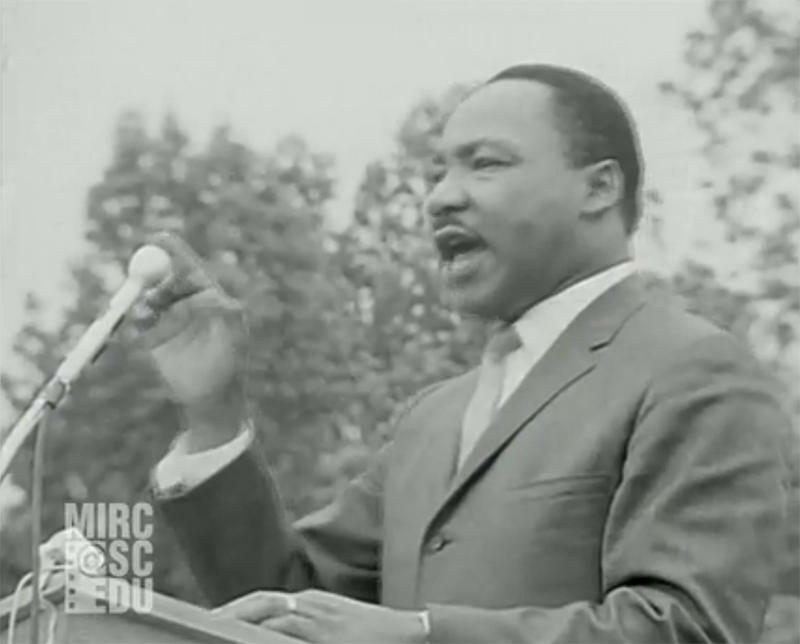 "He came to Kingstree the following Spring and he gave- the first time I heard him give- what he called the 'march to the ballot box' speech." Right here from this county and all over the state of South Carolina; once more we will be able to ascend to the statehouse. Once more we have the opportunity to send to the congress of the United States competent, qualified, dedicated black men and women. Let us on that glad day in June, march on ballot boxes. For this is the way we are gonna straighten up the South and the nation. King also visited Charleston in 1963. He stayed at the Brooks Motel, which was located on the corner of Morris and Felix streets in Charleston. The motel and restaurant served as the local headquarters for the civil rights movement in Charleston. During King’s 1967 trip to the state, death threats prompted a change in plans that would allow a young Frances Fielding (son of the late Herbert Fielding, one of the first African-Americans elected to the South Carolina General Assembly since the Reconstruction Era) to have an early-morning encounter with the civil rights leader. Frances Fielding, son of Herbert Fielding (one of the first African-Americans elected to the South Carolina General Assembly) shares how dodging death threats allowed him to have a brief encounter with Dr. Martin Luther King in 1967. 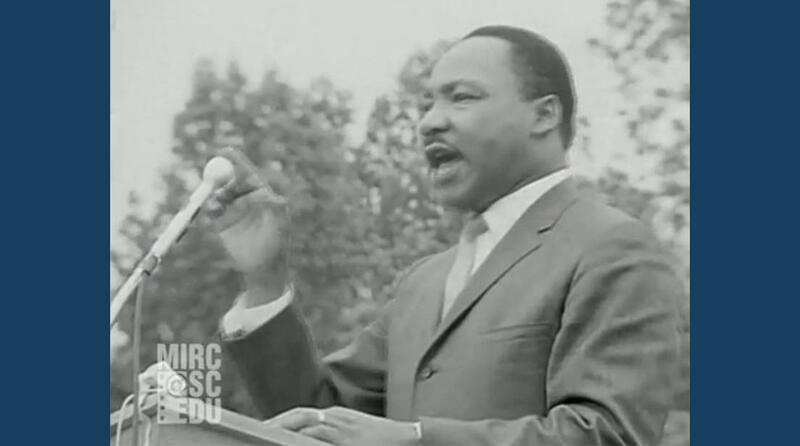 On Mother's Day 1966, Dr. Martin Luther King Jr. visited Kingstree, South Carolina and gave a remarkable public speech urging the audience of more than 5,000 to exercise their right to vote as a means to pursue social and economic justice. On August 6, 1965—just a eight months prior to Dr. King's speech— President Lyndon Johnson signed into law the Voting Rights Act, allowing the majority of Kingstree's citizens the right to vote.